Matte lip colors have been around since forever but lately it had been rising on trend. Makeup companies have been releasing their own version of matte lipsticks in different shades. I have raved and reviewed the Stylenanda 3 Concept Eyes Lip Colors before and they remain to favorites in my makeup collection. Recently, 3CE has released new Dangerous Matte Lip Color collection which promises a long lasting, vivid color pay off. I was sent this gorgeous #807 Hypnotic Dangerous Matte Lip Color. The Dangerous Matte Lip Color from 3CE comes in the usual 3CE lipsticks packaging. The only difference is the tube itself which is a smooth matte in comparison with their regular lip color tubes which is glossy. The lip color, #807 Hypnotic, is described as "Fatal, hypnotizing raspberry color. Fatal beauty expressed with deep raspberry color that makes feminine appeal which cannot be expressed with colors of pink or red alone." Up close, with the bright light, it looks as if my lips have a glossy finish but it does not. It has a powdery, matte finish which the company does promise. The color pay off with this lippie is amazing and I do not expect any less from 3CE. Their lip products have been such a joy to try and wear. Since this is a matte lipstick, there is a little bit of a drag to it when it comes to application but nothing that can't be helped by a little lip balm prior to applying. Even without a balm underneath, the lipstick feels amazing on the lips and it doesn't dry out like most matte lipsticks do. It also doesn't highlight cracks on the lips which seems to be the case in most matte formulation. It is long lasting and I don't have to worry whenever eating or drinking. Sure, the color does come off a little bit and would transfer to your cup but the color on the lips stay even and not patchy. I can wear this for 5 hours without any touch up and it still looks perfect. Obviously the color wouldn't be as bright as when first applied but it definitely stays on the lips and still looks as good. Two thumbs up for this amazing lippie! Purchase the Dangerous Matte Lip Colors from Stylenanda 3CE on their website for $20. For my US readers, 3 Concept Eyes are available at Urban Outfitters online. 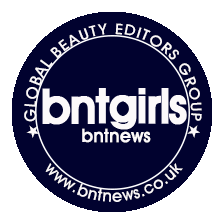 Don't forget to visit the other BNTGirls, Doris, Kim, Alene and Bella.